The former manager of a Mountain Home retail store arrested in 2018 after he allegedly stole more than $107,000 from his employer is now facing a similar charge in Marion County. 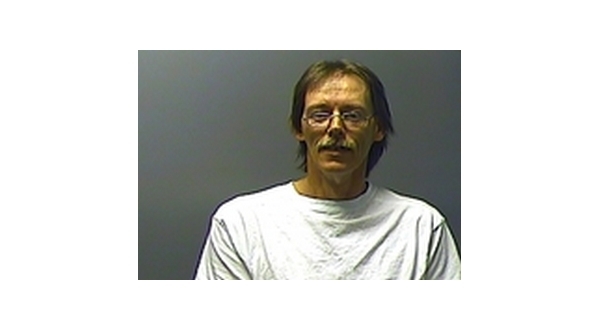 According to the probable cause affidavit filed Tuesday, 51-year-old Robert Wyble of Gassville is now facing an additional felony theft of property charge.The latest charge follows a Bull Shoals storeowner advising law enforcement after hearing about the Baxter County case she believes Wyble may have stolen thousands of dollars from her while in her employment.The woman then produced several checks she had written to the Gassville man for inventory for a business she was opening in Bull Shoals. She also provided copies of receipts for various items Wyble claimed he had purchased for her on his debit card.A total of $17,236 in checks had been written and cashed by the Baxter County man. In an interview with Bull Shoals Police, Wyble allegedly admitted taking the payments from the victim and never delivering any of the goods or services for which she had paid him. The amount of his bond was equal to the amount of reportedly stolen funds. In September, Wyble was charged with felony counts of theft of property and forgery in Baxter County Circuit Court. According to the probable cause affidavit in the earlier case, Wyble had been working for a Mountain Home retailer for the past 10 years and was in charge of the store's financials. During the interview, Wyble is alleged to have admitted to creating false documents and turning them into the company for reimbursement. At the time of the investigation, Wyble had reportedly forged 63 checks and created false documents from January 2015 through the end of May 2018 when he was fired.